The class E 10 (class 110) locomotives were anything but standardized. Although conceived as a standard design electric locomotive, these powerhouses surprised people with numerous differences and thus made these locomotives popular models for railroad fans. Prototypical tooling changes such as different lamp arrangement and one-piece engine room windows with rounded corners. Pantographs that can be raised and lowered, digitally controlled. 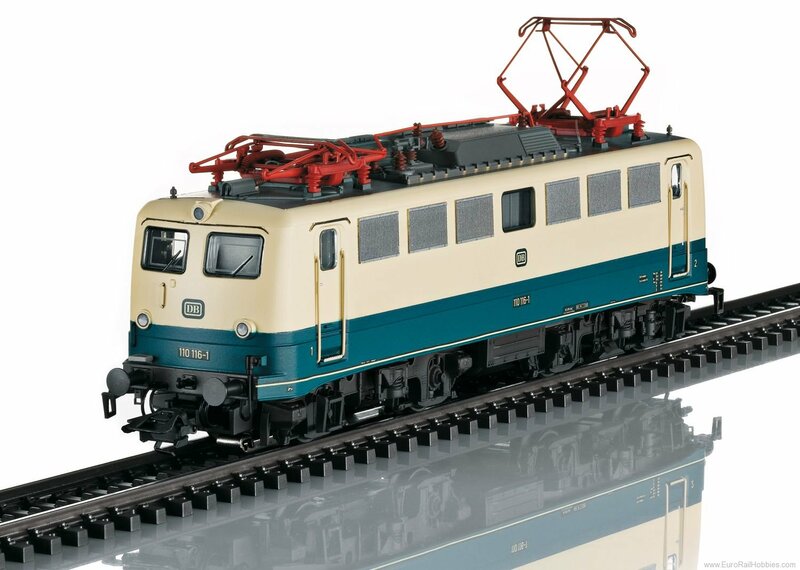 A car set to go with this locomotive can be found in the Märklin H0 assortment under item number 42999.